It’s been so long since I opened up my computer and actually began writing a blog post that I think I might have almost forgotten how… almost. Today we FINALLY got wifi connected in the new flat and I honestly could not be happier. It feels amazing to know that I can create whenever I wish again, can spend Saturday mornings in bed with my laptop catching up on Youtube and watching Netflix, and most importantly can read all your fantastic posts again. One huge plus point from my forced absence has to be the knowledge that blogging truly is what I want to do. 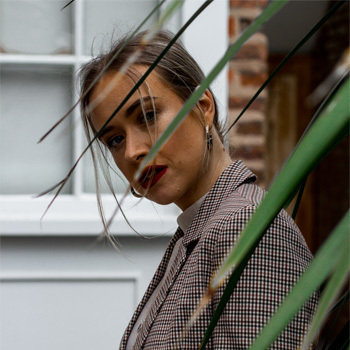 I went through a phase recently where I wasn’t sure where I fit in with the blogging scene – I’d lost confidence a bit and I really didn’t know whether to carry on. Everything felt a bit pointless and I felt like I was shouting into the void with thousands of others all competing for that hallowed full time blogger status, however four weeks without this little space on the internet has been hell. I’ve been completely lost and probably a total nightmare to live with. I’ve felt like my purpose and my passion had been taken away from me and I was missing the ability to blog so damn much. With the comfort and knowledge that it is indeed blogging that makes my world go round I am so ready to get cracking with creating more and better content for this space. I’m so excited to see what you guys think! So that’s where I’ve been this past month, but what about you guys? Drop me a comment below and let me know what’s been going on in your lives too – I’ve missed you! Guys, it’s that time of year again! The nominations are now open for the 2017 Bloggers Blog Awards and it would mean the absolute world to me to be nominated in the Fashion Blogger and Vlogger categories! If you fancy giving me your vote, simply click here.